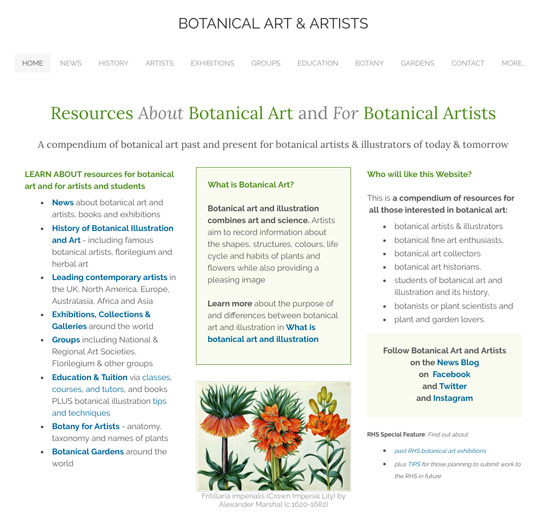 This is my new website - Botanical Art and Artists. 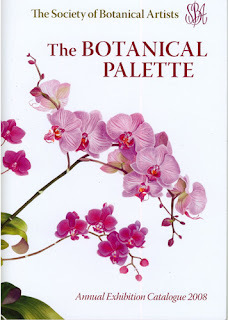 A number of the aspects of botanical art that I've written about on this blog are organised on this site in topic form. 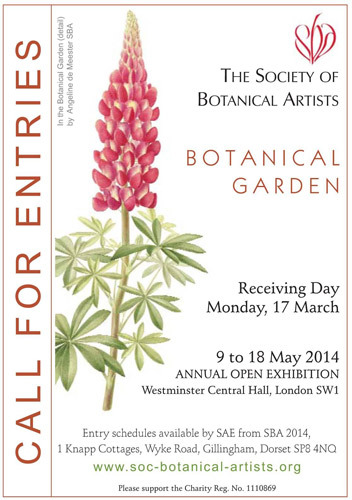 Every year I visit the Annual Exhibition of the Society of Botanical Artists at Central Hall, Westminster in London. 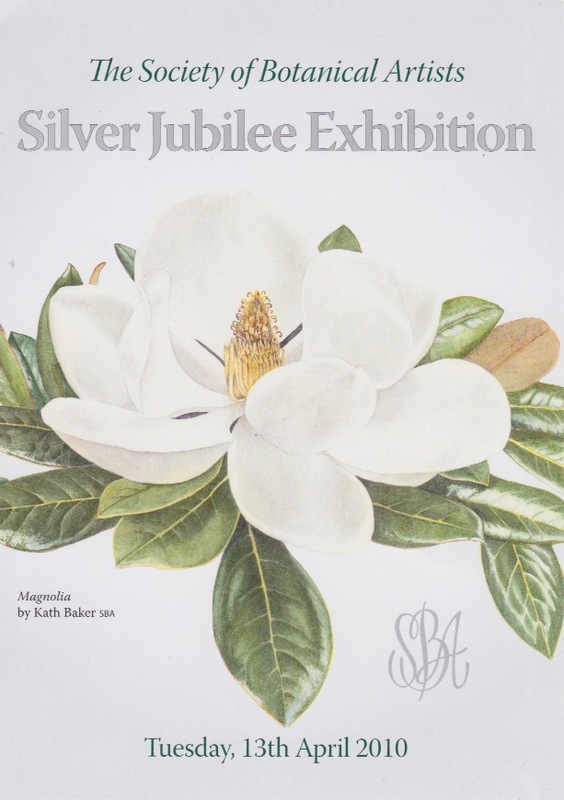 I then write up a comprehensive review of what is on display - with images of artwork - and who's won the prizes (with links to websites where available). 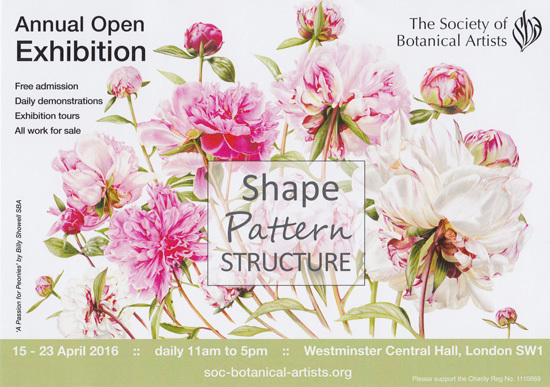 Below you can find links to the exhibitions on the SBA website and all my blog posts relating to the exhibition. 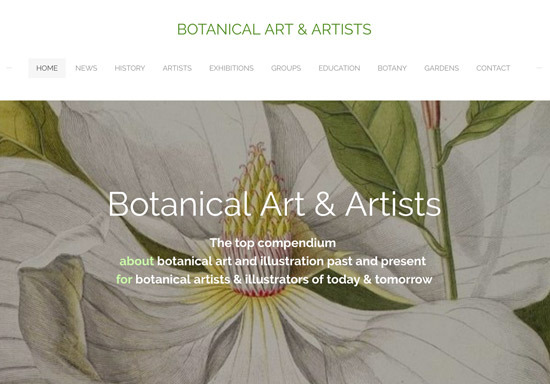 A 'Making A Mark' Profile of Fiona Strickland - I was delighted last week to meet up with and interview an artist I've very much admired for the last four years and five SBA exhibitions - Fiona Strickland DA SBA GM CBM '09, CBM, 11 and CBM 12. SBA website - Exhibition 2011 The World Of Plants - 8 to 17 April 2011: 751 botanical works including miniatures and three-dimensional work were shown. 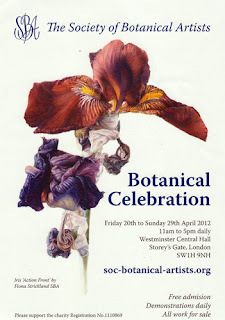 Society of Botanical Artists - Silver Jubilee Exhibition - 25th anniversary of the Society of Botanical Artists (SBA). 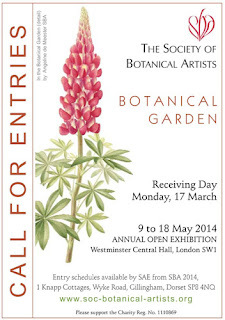 Includes details of this year's annual Open Exhibition and how to enter your botanical artwork. Two works juried into SBA Annual Exhibition - I've had news that two of my coloured pencil drawings have been juried into the Annual Exhibition of the Society of Botanical Artists. 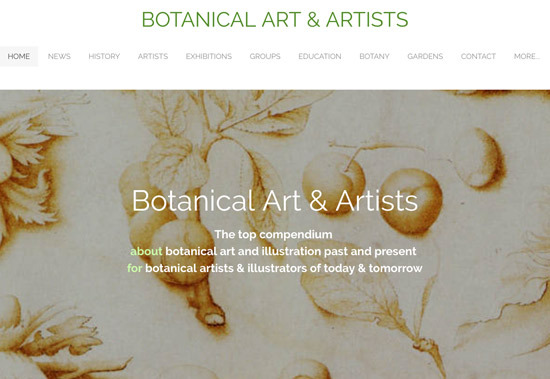 The Society of Botanical Artists To become an Associate you must have submitted five works and had ALL five works accepted for two consecutive years: that is 10 out of 10 paintings accepted in total over two successive years.